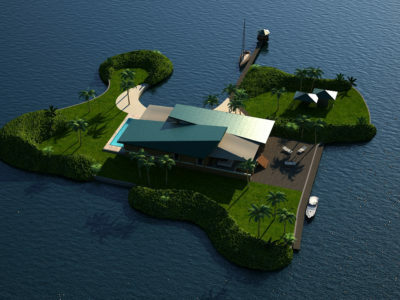 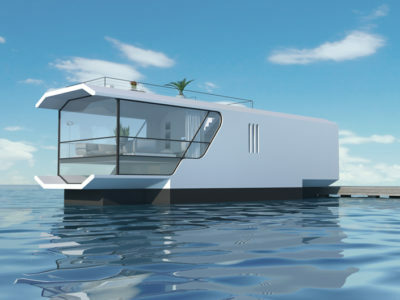 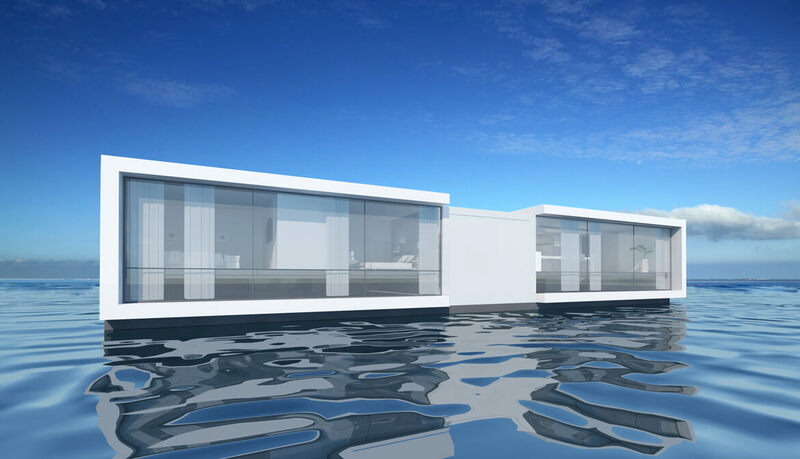 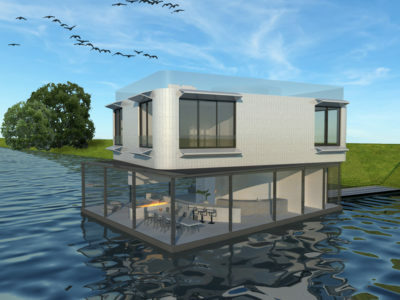 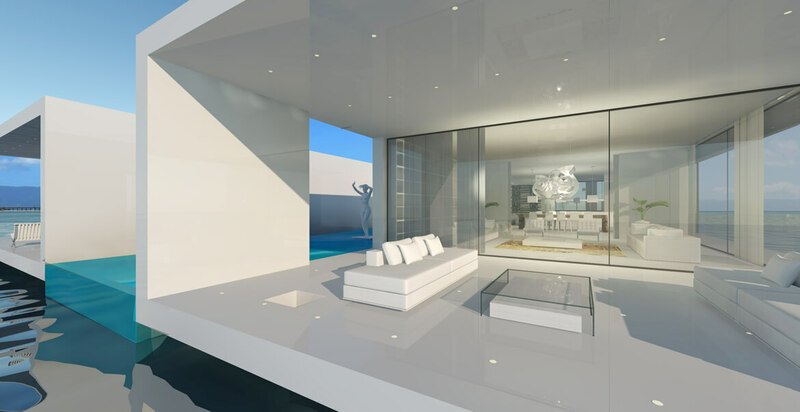 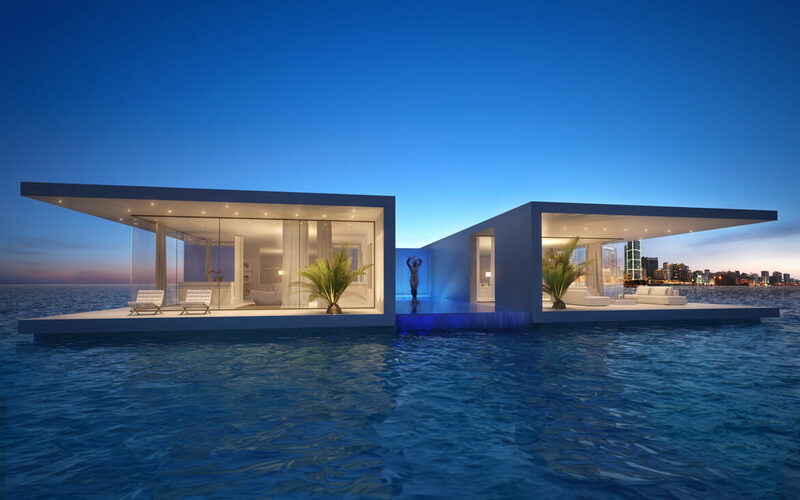 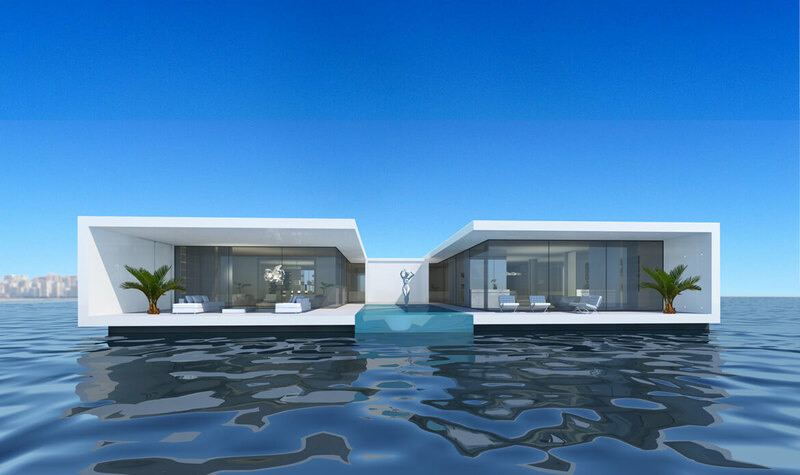 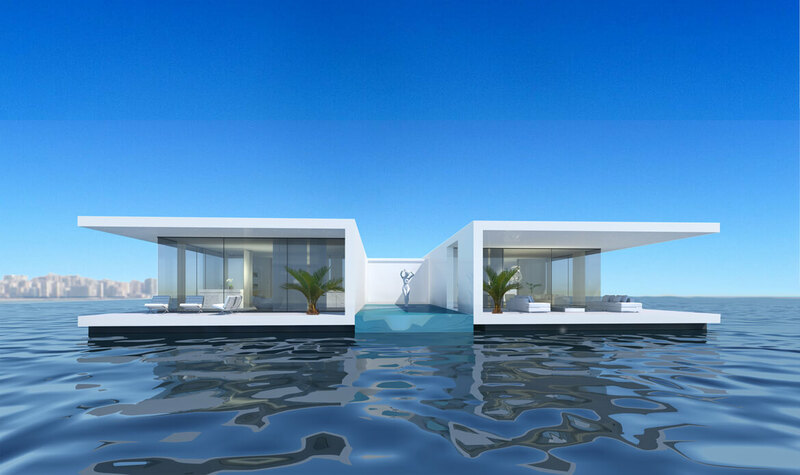 The Floating Villa consists out of three separated elements which can be moved and rotated. 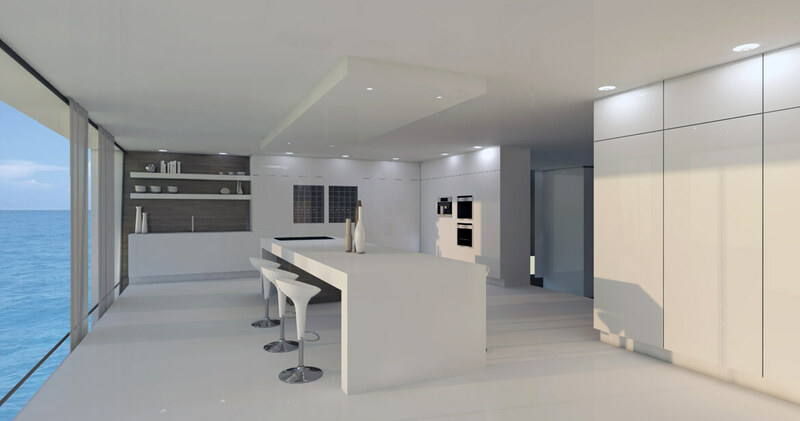 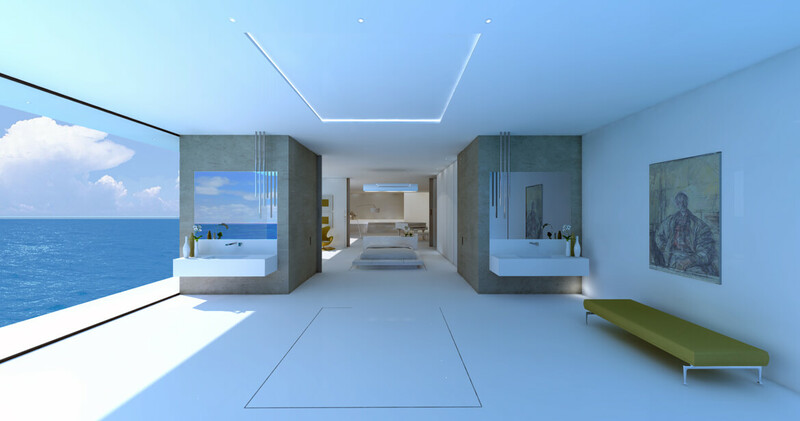 The two u shaped elements are made of white corian. 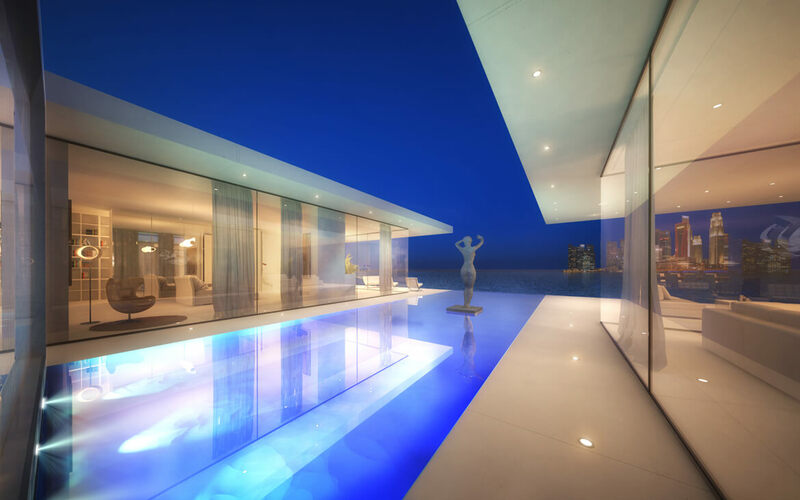 The glass façade in this U shapes provides a wide view. 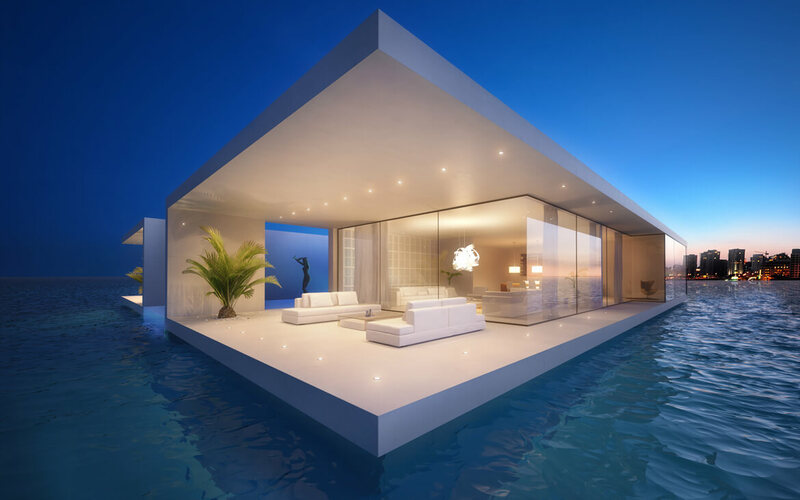 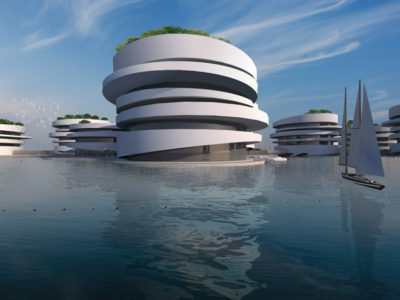 The central element of the building is a floating infinity pool. 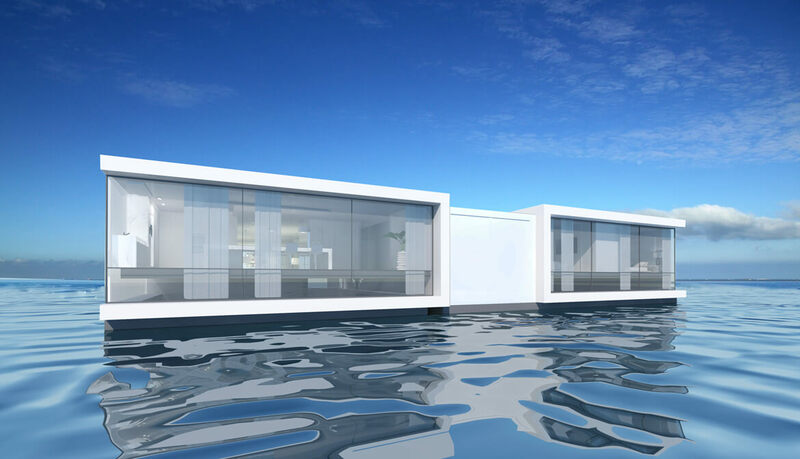 Depending on its configuration the two U shapes are viewing the central element of the building or its spectacular environment.